Located on the eastern coast of Spain, the Costa Blanca is a 200km stretch of shoreline which boasts some of the most stunning natural landscapes, pristine beaches and lively resorts in the country. There are a number of locations in which to rent a holiday house here from the quaint, ancient town of Denia to the thriving resort of Benidorm. 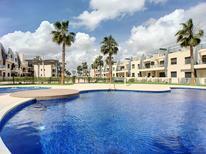 A holiday house in Alicante by the sea offers relaxation, fun and a wonderful place for a holiday with children. 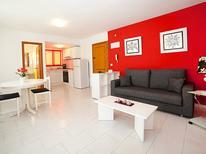 There are several beaches located along the Costa Blanca coastline and thus there is a wide choice of holiday rentals. The capital Alicante is a thriving town as well as a popular destination for a beach vacation, the main one being Postiguet Beach. Attractions on offer here include the Castle of Santa Barbara and the Museum of Fine Arts. 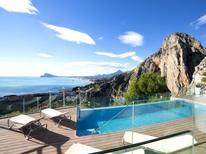 Javea is an often overlooked destination on the Costa Blanca. This stunning cove is awash with natural beauty, a glorious beach and many laid back restaurants and bars. It has a historic old town with many relics in wonderful condition - perfect for those who want to prioritize relaxation on their holiday. 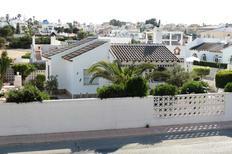 Altea is also an option for those seeking vacation in a mid-size resort with a mix of some beach time and cultural exploration. Bendidorm is the choice of many who book a holiday home at the Costa Blanca and with its epic stretch of pristine beach, endless bars, restaurants and activities (such as go-karting and golf) it's easy to see why. From relaxing at the pool to more high octane activities like the several family water parks and children's playgrounds, there really is something for all the family in this popular Spanish gem with a holiday rental from TUIvillas.com.